UK aquaculture is worth over £500 million and is increasing all the time, making it one of our most vibrant and dynamic industry sectors. To help serve the industry, we are delighted to announce the launch of the Aquaculture Focus Fish Farming Yearbook and Services Guide an innovative new handbook for the UK aquaculture sector that offers an indispensable information resource for all those involved in the industry. Featuring high quality editorial focusing on every aspect of UK aquaculture, combined with a comprehensive business directory, Aquaculture Focus Fish Farming Yearbook and Services Guide will prove to be an invaluable and easy-to-use guide for the industry. 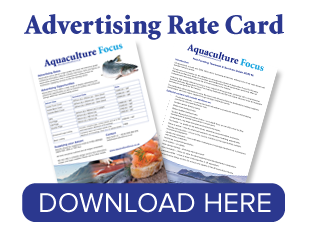 The publication will be distributed to every fish farm in the UK and will also be distributed to industry suppliers, stakeholders with bulk copies supplied through strategic distribution points. Production statistics – covering the latest information on production volumes and analysing past trends and predicting future ones. Scottish Aquaculture Innovation Centre – an in-depth focus on one of the most exciting developments in Scottish aquaculture in recent years. Containment – the latest innovation and trends for the future. Fish health – an update on the latest issues, treatments and preventative procedures. Route to market – how the small-scale producer can maximise marketing opportunities. Training and education – a focus on the courses available and the opportunities available for personal progression. Quality and certification – how certification is playing an increasingly important role in production and consumer confidence. New species farming – what does the future hold? New innovation – a focus on some the latest equipment and developments in aquaculture. Company profiles – a look at some of the high-fliers in UK aquaculture. Comprehensive listings sections for services and supplies to the UK aquaculture industry.